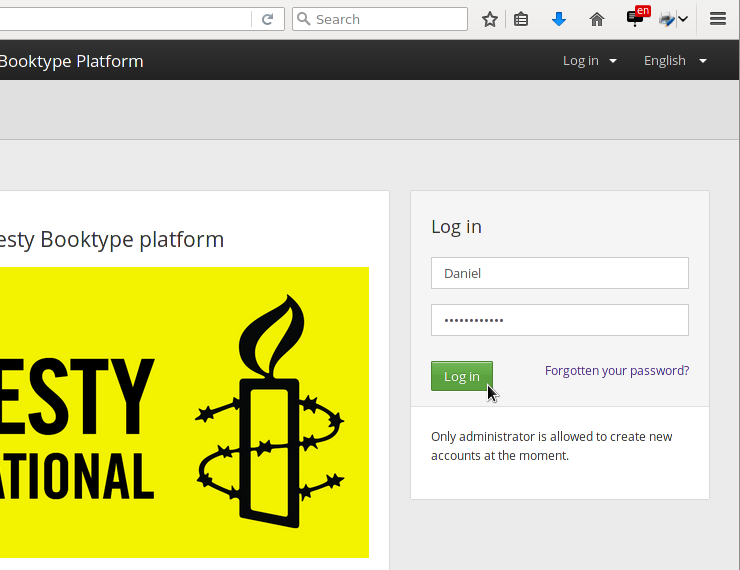 Open the link to Amnesty International's Booktype instance https://amnesty.booktype.pro in your web browser. To write or edit a book you need a user account, which will be created for you by Richard Swingler. 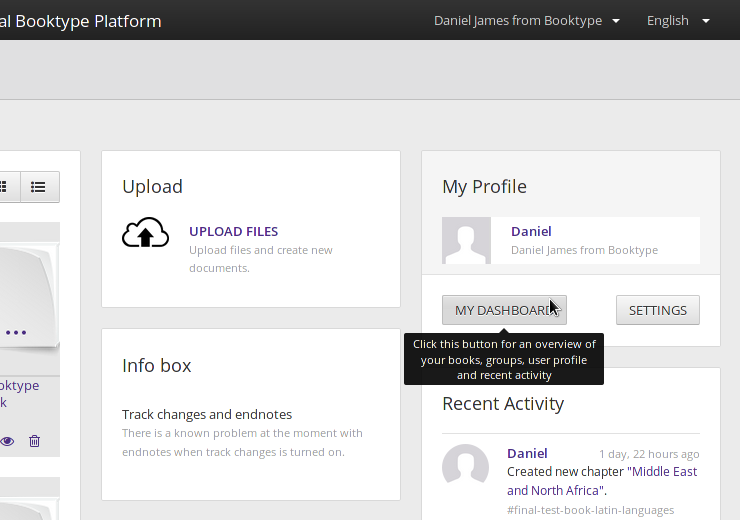 In the home view of Booktype you will see a Log In box on the right side. (Please ignore the link to the Registration form, as this feature is currently disabled for security reasons). Once you have logged in, the Log in box will change to My Profile, and your name will be shown in the top right corner of the page. If your email address has a Gravatar, it will be shown in the My Profile box. Click the My Dashboard button to access your personal page.